Well, it took a while but the Academy has finally announced the ten films moving on among the 70 that qualified, some of which I profiled a few weeks ago. Yes, I know that I'm five days late. No, I don't have any valid excuses. And no, I don't think anybody cares because I doubt anybody is still reading this blog, and I'm just doing this because I like to waste my time and am doing this for completionist's sake. Don't think I'm giving up on the category. I'm still doing all that I can to watch these films in my limited can't-go-to-festivals capacity. In fact I've seen three of the shortlisted films on the day of the announcement. That still leaves five films that I have yet to see. Watch those five get nominations. Anyways, surprisingly (or maybe not so surprisingly as unlike me, Amid Amidi knows what he's talking about), all of the films were featured in the profile. So maybe this may go quicker as my views may not change for films I haven't seen. There was once a little girl named Vaysha. She lives an unusual life as she was born with eyes that can see into the past and the future but never the present. That perceptual distortion would undoubtedly lead to some difficulties. 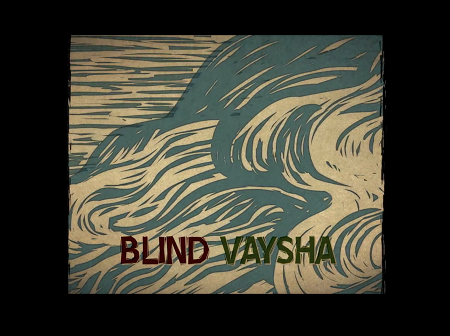 Blind Vaysha is a film by Theodore Ushev, based on the short story by Bulgarian author Georgi Gospodinov from his short story collection And Other Stories. The plotline alone makes it seem like kind of an existentialist type of film, and that is probably heightened under the direction of Ushev, which as I mentioned in my earlier profile was the director behind the shortlisted (but not nominated) film Gloria Victoria, a film which juxtaposes stunning and sometimes horrifying imagery with Shostakovich's Leningrad Symphony to paint a startling portrait of the horrors of war. This one seems like it may take on more of an actual plot, being based off of a short story and all, but from the trailer (the actual film is not yet available online, although here's hoping NFB would make it available before long) it seems like it is stylistically similar to Gloria Victoria. We won't know unless we watch it. Okay, this is a film that I've seen and you've probably seen as well. An old sheriff makes a visit to a ravine, which was the site of a tragic incident that had haunted him for years. Through the power of the flashback, we see the traumatic event, and its effects on an old, weary soul. This film by Pixar animators Andrew Coats and Lou Hamou-Lhadj follows in the footsteps of the Oscar nominated The Dam Keeper as independent films made as side projects by animators for major animation studios. This one is certainly quite impressive. I was struck by the detail of the animation the first time I watched it, but after rewatching it for the purpose of this post, I am struck by the level of detail in other aspects such as the lighting. The storyline is fairly simple, but it can certainly be further explored in a way that Robert Kondo and Dice Tsutsumi are doing for The Dam Keeper. Sadly, the full version that was posted on Vimeo has been removed. There are a few versions available uploaded by other people, but I don't expect those to stay up for very long. This is a story about hunters, tractors drivers, a disco boy, and dead bodies. It involves a lot of death, but there is a happy ending. With a title like Happy End you know that it's going to be a black comedy, and that is what I've heard people say about this film, a graduation film by the Czech animator Jan Saska. There isn't much about the film other than a few synopses and a short film clip featuring the tractor driver and his love of beverages in bottles and some poor sap getting run over. The animation seems to be a lot like the independent animation that you find on Cartoon Network back in the mid-1990s, which if you think about it kind of makes sense, since this is an independent film. A woman decides to take a trip to the seaside. Unfortunately, she suffers from advanced dementia and what's left of her mind makes the trip something that is not like any trips to the seaside that you've seen before. Dementia has become a bit of a focal point in modern healthcare. With the population living to older ages there are more people suffering from dementia, or the permanent and irreversible loss of memory and brain functioning (as opposed to delirium, which is only temporary and oftentimes reversible.) There are little researchers know about dementia, which makes it loom large in the public mind. 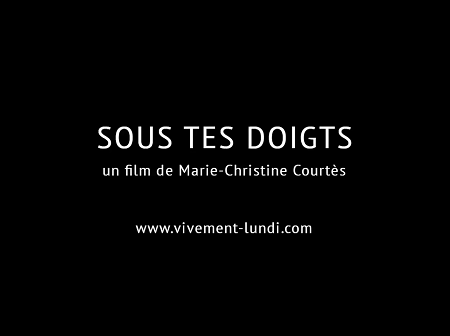 There have been a few films, both short films and feature films, that address the issue of dementia. I have no idea how accurate this is. The synopsis I see on the website seems to focus more on the hallucinations and illusions that the main character sees, which certainly can be a part of dementia. Here's hoping that this will be a honest portrayal to a condition that afflicts millions of people worldwide. But I really don't know, since all we have is the trailer. Paul is a mild-mannered man working as an office worker in a company that is located next to the seaside. He has lived quite carefully, guided by his central nervous system (his brain) that is on the lookout for anything that may threaten his well being. On the other hand, his circulatory system (his heart) is wanting some more excitement in this life. 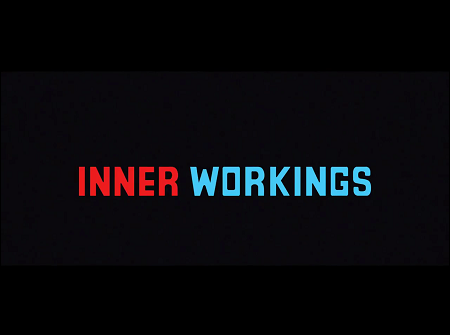 Inner Workings is the latest short film by Disney Animation Studios, which has won two of the past four awards with Paperman and Feast. 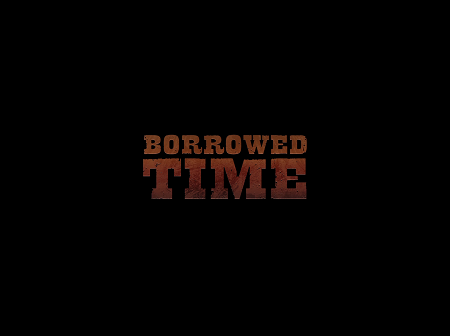 It seems to have more than a cursory resemblance to several other Disney short films on the past. In my preview, I had compared it to Reason and Emotion, the WWII propaganda film disguised as being a documentary-like look at the forces that guide our decisions. Now that I've seen the film (which is playing before the excellent Moana...have a trailer instead. ), I can safely say that this is essentially Reason and Emotion minus the WWII propaganda, with the brain taking the role of Reason and the heart taking the role of Emotion. I wasn't expecting it to be an accurate look at how the human body operates, but somehow making these important organs taking on these stereotyped roles makes me kind of disappointed. That's not to say Inner Workings is a bad film. It's very funny and very entertaining. Some of the scenarios that the brain/Reason is trying to avoid is downright Bill Plympton's Guard Dog. It seems to be virtually guaranteed a nomination, but we'll see if it can continue Disney's Even Year Magic. A man is living a mundane life in the big city. He goes to work and nothing unusual ever happens. One day he runs into a red-haired woman, and his life will never ever be the same. There are a few avenues for student animators to enter the Oscar race. There's the traditional winning-a-sanctioned-festival method, but another methods is by winning the Student Academy Award (or in more recent years being one of the top three finishers.) The number of Student Academy Award winning films that moved onto the actual Oscar race is rather low. Vanessa Schwartz managed to get a nomination for The Janitor in 1994, and Shane Acker did the same for 9 in 2005. Just last year An Object at Rest made it onto the shortlist, although it did not get a nomination. 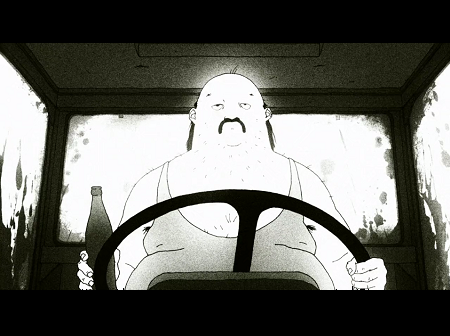 This year USC's Alicja Jasina is the student animator whose film made it onto the shortlist. We shall see if she can join Schwartz and Acker with the nomination. There's not much I can say about the film itself as there is only a trailer available, but the minimalist look and interesting use of color helps make it stand out. As a young boy growing up in Vancouver, animator Robert Valley became friends with Techno Stypes, a free spirit whose athletic achievements earned him the admiration of all of the kids in the neighborhood. As they grow up, Techno's carefree style eventually leads to self-destructive behavior and the two grow apart. One day Robert finds himself with a thankless task: going to China to make sure Techno, now suffering from cirrhosis of the liver, gets a liver transplant. 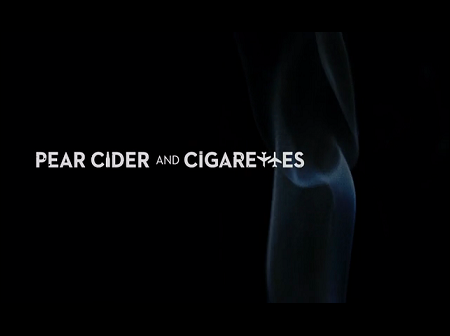 Pear Cider and Cigarettes was the longest film among the films profiled, clocking in at an impressive 34 minutes and 49 seconds. The trailer made it seem like an unbelievable tail, full of fighting and lots and lots of drinking. I was a little surprised to hear later on that the film is largely autobiographical. It was the culmination of several years of hard work by animator Robert Valley, who had worked on TV series like Aeon Flux and Tron: Uprising. It paints Techno as a sort of a Greek tragic hero, a larger than life figure who winds up in a cycle of self destruction. This characterization is even more pronounced with Valley's animation style with exaggerated movement and unusual camera angle, heightening the sense of awe. It's available behind a paywall on Vimeo on Demand, and it's certainly worth a watch, even if it doesn't get a nomination. One day a young woman named Sara happens upon an abandoned car. It is the same car, she named Pearl, that she grew up with. As she gets in she thinks back to her childhood spent with her musician father. As she grows up she inherits not only his car but also his musical abilities. As her own career picks up the car comes along for the ride, but how much time does it have left? 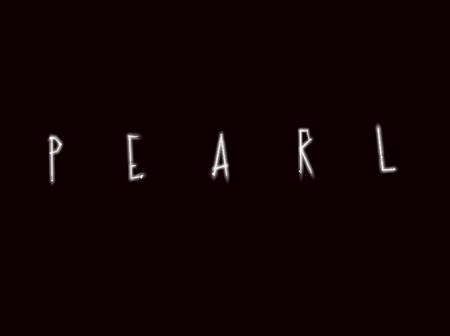 Pearl is another film within the Google Spotlight Series, a series of films that features scenes centered around a certain vantage point. The series also includes Glen Keane's Duet, which made it onto the shortlist in 2014. Pearl is by another former Disney animator, Patrick Osborne, whose film Feast won the Oscar the same year that Duet debuted. The story is a fairly straightforward but heartwarming one telling about the ties that connect two different generations, in this case the car Pearl as well as the song "No Wrong Way Home" by Alexis Harte and performed by Kelley Stoltz and Nicki Bluhm. The animation features the kind of rough animation that is similar to the one seen in Feast which is serviceable. The 360-degree animation is impressive, but kind of annoying when you're watching it on the computer or phone and trying to figure out what angle to focus on. It's an immersive experience, but something I can live without. This is incidentally also the only shortlisted film readily available online not behind a paywall, but only in the 360 Spotlight version. It is morning, and a young sandpiper is ready for its morning meal of clam meat. However, it was not fed like it was expecting. Wandering around on its own, the sandpiper ends up getting caught up in a wave, a traumatic experience that gives it a fear of water. Can it overcome its fear and get its food before it starves to death? Piper is the latest short film by Pixar Animation Studios, a titan within the animation industry that has been nominated in this category a whopping 12 times, although it has only three wins and none since For the Birds all the way back in 2001. Perhaps they can get their fourth win by going back to the birds. 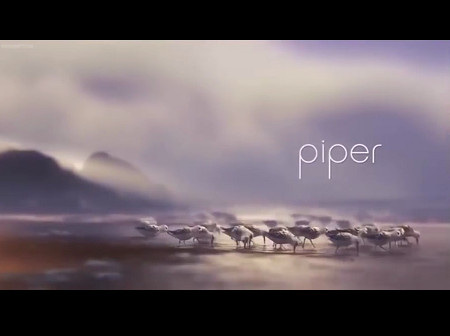 Piper was a film that played before the blockbuster Finding Dory. It features an astounding advancement in photo-realistic animation as the sand and water effects are something quite advanced. What makes the film such a winner in people's hearts is the heartwarming story of a young animal trying to come of age on its own. People love cute animals and boy is Piper adorable. The animals are animated in such a way that gives it enough humanity to make them relatable and yet captures enough of their qualities that makes them cute although not in a nauseating way. It's a strong film that fits in well within the Pixar short film canon. It was made available online for a time and there are still bootleg versions that haven't been removed yet. But it's also available on Finding Dory DVDs and on the iTunes store, so watch it if you can. 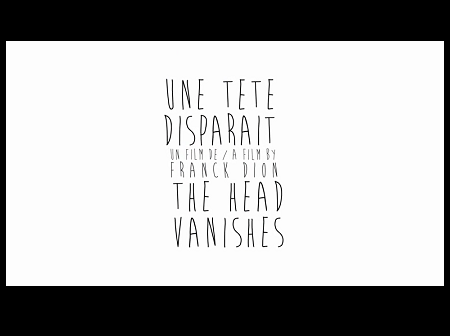 A young mixed-race French/Vietnamese girl mourning the death of her grandmother digs into her grandmother's treasure trove of memories. She uncovers an epic tale of romance and adventure, fraught with danger around every corner and lives it along with younger versions of her mother and grandmother. It's easy to forget that the Vietnam War had started in the 1950s involving France, and this film explores the ugly legacy of that conflict from the viewpoint of the French. The animation is smooth with appealing character designs and good use of colors and technical effects. We'll just have to see how the rest of it is, as so far only the trailer is available. Thanks for the rundown. I check your blog every once and a while. You have at least 1 fan.